"Meet Me At McDonalds" Hairstyle: Why—And Why? The origin for the odd name of this hairstyle puzzles me- can anyone offer an explanation? Perhaps it looks like curly fries. I’d guess that it’s because this is a look affected by the kind of pimply, taste-deficient teenage gobshites who patronise McDonalds. 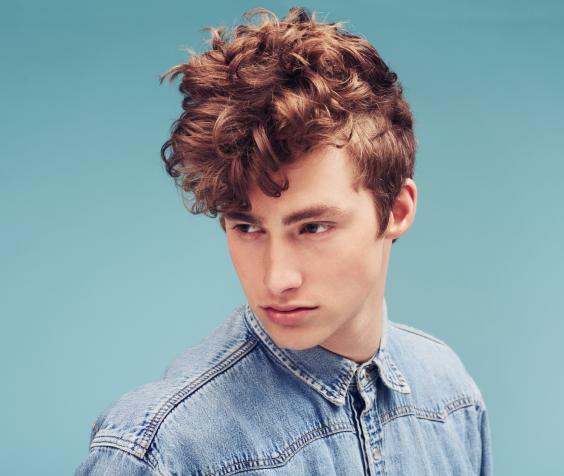 I don't particularly like it, but it doesn't look that odd for a teenage haircut to me; in some form or another the long on top/short at the sides look has been in and out for years - hasn't someone just given it a new name and decided to have an odd moral panic about it. Has anyone else been wondering if maybe some clever marketeers at McDonalds have simply attached their moniker to a popular and current street fashion - maybe via the mechanism of social media - in order to get lots of free advertising amongst a core audience? And I am being serious. Now that's an interesting possibility....one which requires further investigation. 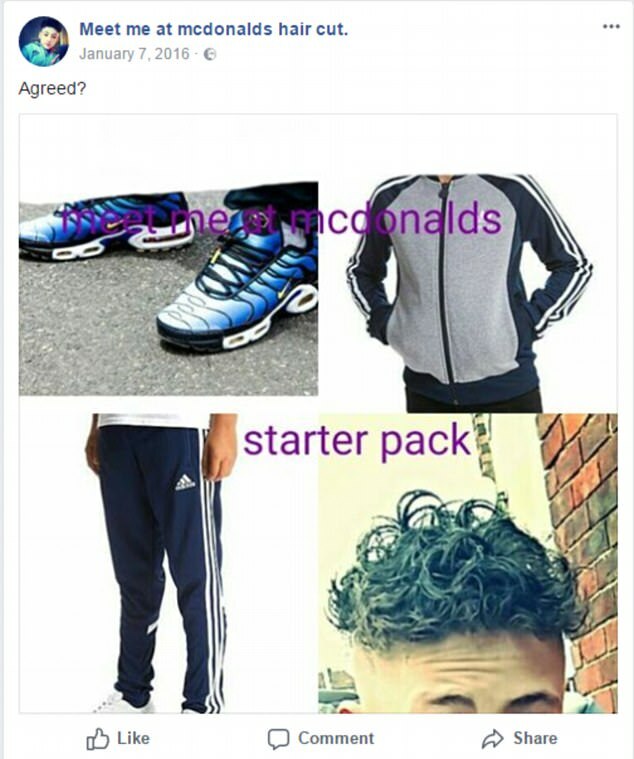 I read somewhere online that a lad sporting this haircut posted a pic of himself on Twitter or Facebook (can't remember which one sorry) to his mate with the message "Meet you at Mcdonalds", he/they were wearing adidas and nike stuff, looked a bit of a chavish so it became an internet gif for a while .. I've no idea if this is true .. this might have been the original pic? Of course Mick Hucknall was sporting this look back in the 80's ..
.. as were The Thompson Twins ..
"Don't Mess with Dr. McDonald's!" It's a hairstyle, is it? I assumed they were exhibiting their emotional support rabbits! Why do schools so often feel justified in enforcing these arbitrary and controlling rules about students' dress and appearance? The former Great Yarmouth High School, which was the worst-performing school in Norfolk, was taken over by Inspiration Trust and renamed Charter Academy last year. It hit the headlines in September when Mr Smith introduced strict new rules in a bid to turn its fortunes around. I suspect this is already one of those scenarios in which spotlighting something nobody previously cared about transforms the matter into a cause célèbre. The soon-to-be-beleaguered principal Smith offered to provide parents with a PowerPoint file illustrating the now-unacceptable hairstyles. I have yet to locate an online posting of this PowerPoint file. Like everyone else, I'm baffled by the label 'Meet Me at McDonalds'. Have you ever considered working as a school counsellor? This daily mail link explains the name. Basically, McDonalds = "chavvy"*, this haircut = "chavvy": it's from some memes describing various "chavvy" style attributes as "meet me at McDonalds". Nah, because l’m happily retired, not “down wiv da kidz” and l have the interpersonal skills of a Russian helicopter gunship. Sadly my attempts to popularise a "I can't meet you at McDonald's but how about in half an hour at that chinese place" haircut has been unsuccesful. It has sideburns. My late uncle was a Royal Marine for 20+ years and then became a Social Worker! ...a Royal Marine for 20+ years and then became a Social Worker! This has been raised before, in the long Education thread probably. As EnolaGaia says, "It seems this is part of a campaign to make the school more respectable." When this tactic is applied early in the cycle of competing schools, one may establish itself as the first choice of parents who support firm discipline. There will be a raft of other rules which establish or reinforce the school as a brand or a tribe asserting its values over others prevailing in the area. When it is applied to failing schools, usually as part of a change of régime or academization, there will inevitably be confrontation with the do-as-you-likees, who will take to the tabloids to display their scowly faces. It can seem ridiculous, though parents will usually have been informed and reminded of the uniform code before things come to a head. Some of the more militant headteachers are adopting a zero-tolerance approach to these visible transgressions and making for themselves a reputation which is not reflected in other performance measures. To break the spirit of their pupils, to get them ready for a faceless drone job in industry. You’re thinking of a Beehive. Lots of work in drones these days--it's boom industry. By incredible coincidence, I self-identify as a Russian helicopter gunship! You and your binary lofty ideals. I am a three-legged stool and I don't even have a mouse carved on my seat. Criticise this and I will 'feel wrong' and have you reported for hate crime. Stools have as much place in military history as helicopter gunships. This should be recognised and promoted. I will tolerate nothing less than a government funded wartime stool museum honouring noble stools who played a vital part in the war effort. (Dating back to Ancient Egypt and perhaps a log from a bit further back). I will tolerate nothing less than a government funded wartime stool museum honouring noble stools who played a vital part in the war effort.. I had to provide a stool sample to hospital once; but I didn't carve a mouse in it. I noticed a news story about this a few days ago and thought of a couple of alternative names. One was "this wasn't even cool in the 80's" and the other was "if it worked for Mick Hucknall it'll work for me". Every thread needs a tune etc .. I fear the 1980' fashion revival is coming and these styles are its hairbingers. The only thing that would work for Mick Hucknall is a brown paper bag, with eye holes. The 1980s are back! Woohoo!